The “Almost Summer” ride couldn’t have been closer to being almost summer in terms of the brilliant weather we had through Gippsland. Thanks to Pete & Tim for leading the group from Café Metsa to meet up with me, Pete, and Tim at Lyndhurst for the full ride. Some of us had arrived at the BP ahead of time and were enjoying a light beverage in the morning sunshine. With our fluids replenished all 12 of us headed out East through Cranbourne for our South Gippsland adventure. I can still remember the days when I used to travel out through Cranbourne and Clyde to visit Casey Airfield in Berwick. Back then the trip was through farmland, bush and the occasional house on the way to classic bike display at the airfield and a quick flight in a tiger moth!!! Today there is nothing but housing estates on top of housing estates, only broken up by the occasional shopping centre all the way to Berwick. From Clyde we headed out through Cardinia and Koo Wee Rup North to Bayles. This part of the ride was straight and flat with little to no traffic. This whole area is known as the Bunyip Food Bowl as it is a very fertile flood plan. From Bayles I had a route in mind that Tim and I had plotted out about a month earlier, however, while the spirit was willing the memory wasn’t quite up to it and I missed a key turn off to head us south to Wonthaggi. Luckily as the ride leader only I knew the mistake so I managed to cleverly disguise the problem with a quick, on the fly, re-route!!!! From this stuff up we headed through Modella and into the hills at Ripplebrook. This start of the Gippsland Ranges is a fantastic ride with sweeping bends and fantastic scenery. Leaving Ripplebrook saw us heading back a bit and into Lang Lang before heading into Poowong via Nyora. Our minor detour had cost us some time so the plan to get to Wonthaggi for morning tea was off and we headed directly to our lunch at Fish Creek passing through Leongatha and Meeniya. The pub at Fish Creek is certainly worth a visit. It is a fully restored Art Deco hotel and seems to attract lots of people. The meal was great and service was pretty prompt. The afternoon trek back to Melbourne was a bit of the planned morning ride in reverse. 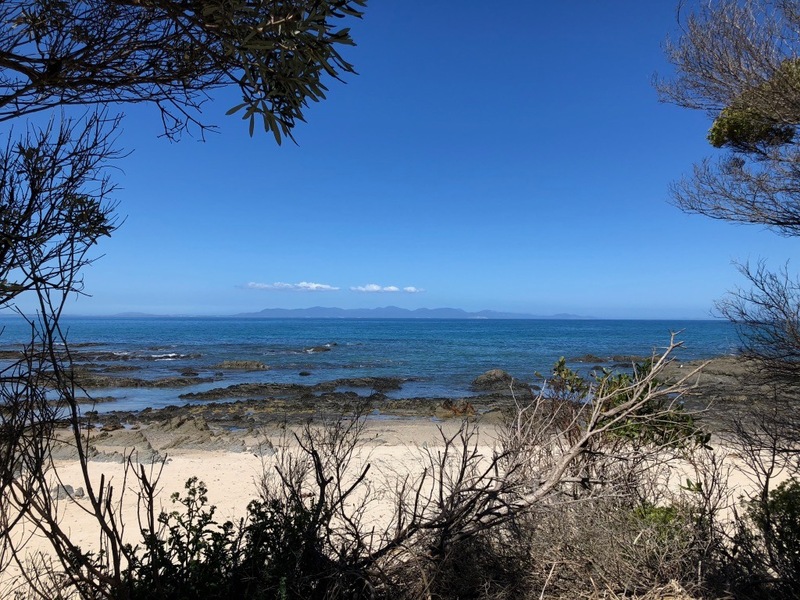 We headed south towards Wilsons Prom but veered west around Waratah Bay to get to Walkerville. I had never been to Walkerville in the past and it really is worth a visit if you are into camping. Pretty much the only thing there is a camp ground right on the beach overlooking the western side of Wilsons Prom. Such a quiet and beautiful place for a relaxing camp. We did have a minor opps here in the gravel carpark when Kitty, our first time rider, slipped and gracefully laid her bike over with a stylish pirouette. Great to note that bike and rider are doing fine!!! From here it was a pretty quick sprint towards Venus Bay, Tarwin Lower, Inverloch, Cape Paterson and Wonthaggi. Just after Wonthaggi we turned north for the fantastic run into Loch. Endless corners, some sharp, some sweeping, with brilliant blue skies and green rolling hills, it was Gippsland at it’s best. Afternoon tea at Loch before heading up the South Gippsland Highway to Melbourne. The ride ended at the Lang Lang BP as a number of us were heading in different directions from here. We couldn’t have had a better day, great weather, great roads and great company.